The Past Player and Supporters are sporting a brand new logo! Our new logo represents and embraces all of the tradition and core elements of the re-union day concept, combined with the current presence of WARL. The shield of the WARL – For the first time and thanks to WARL CEO, John Sackson, we are thankful and proud of the support being shown to the re-union day by the current WARL team. The “Hall of Fame” – is one of the major events held at each years re-union day and the Past Players committee is proud to announce and honour these legends of Rugby League in WA. 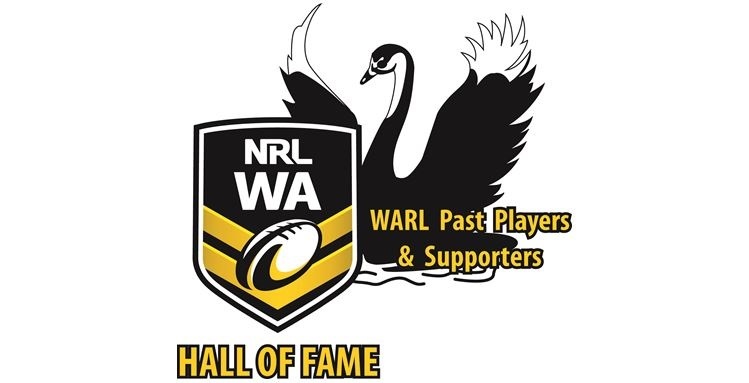 With these three elements combined within the logo, the concept is – The WARL Past Players and Supporters represented by the Swan, is proudly embracing WA Rugby League and the “Hall of Fame”. We hope you like the new look and would love to hear your feedback, so please leave a comment either on our Home page or on our Facebook page.